Make all of your guests little monkeys. Add ears to party hats with just a little construction paper and glue. 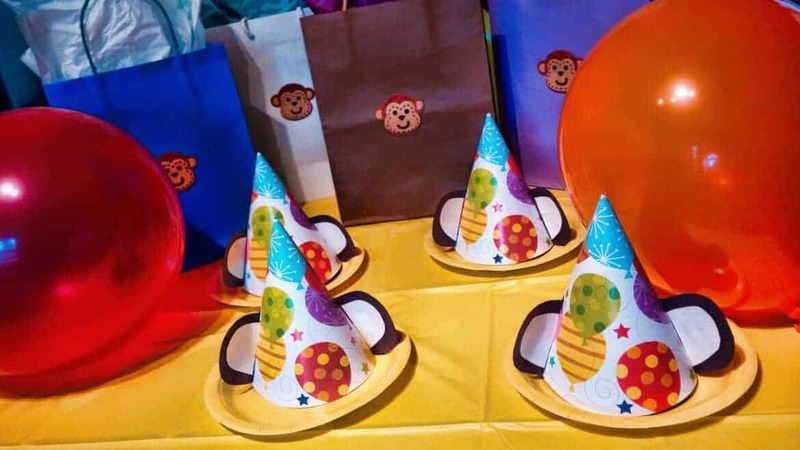 Use monkey stickers to jazz up party favors. The party goers will be curious to find out what is in the bag! Give it a 3 dimensional look by outlining it in black. From the top, cut down the middle and stop part way. 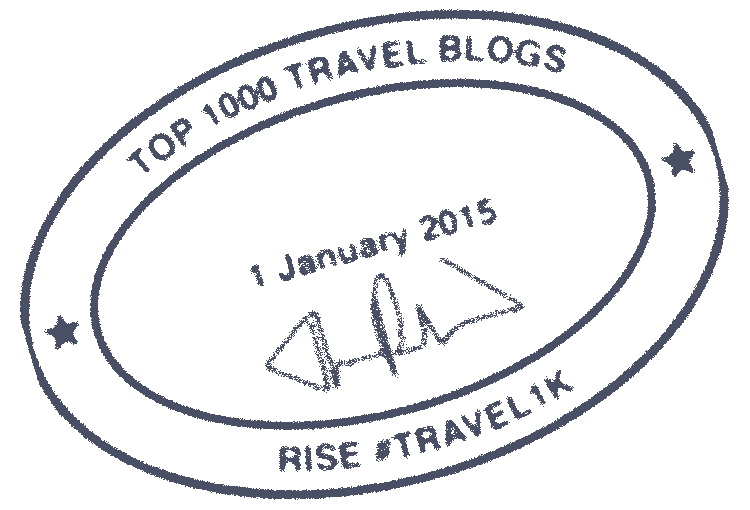 Use a thick card stock to print your invitation details. 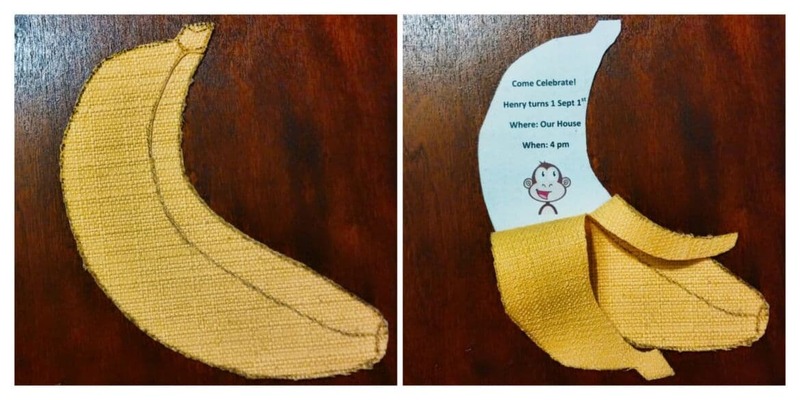 Cut the cardstock and glue to the fabric at the bottom of the banana. Your guests can peel away the fabric to find all of the party details. 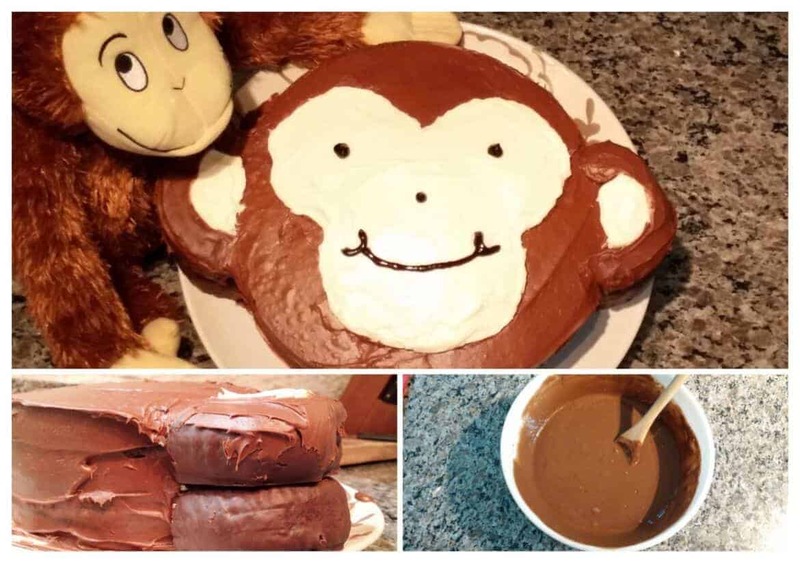 With just a few tweaks, a regular chocolate cake can become a Curious George cake! Use your favorite chocolate cake recipe (I used a simple box recipe) and bake in two 9 inch round cake pans. Stack them and frost with your favorite chocolate frosting or homemade frosting if your ambitious. Cut two chocolate donuts in half, and stack the halves on each other on either side of the cake to make George’s ears. Frost over them to blend in with the cake. Use vanilla frosting to create the face and little bit of icing to put on the finishing touches. Accompany that yummy cake with a Banana Split Bar! Try this adorable DIY photo prop from Crowning Details. 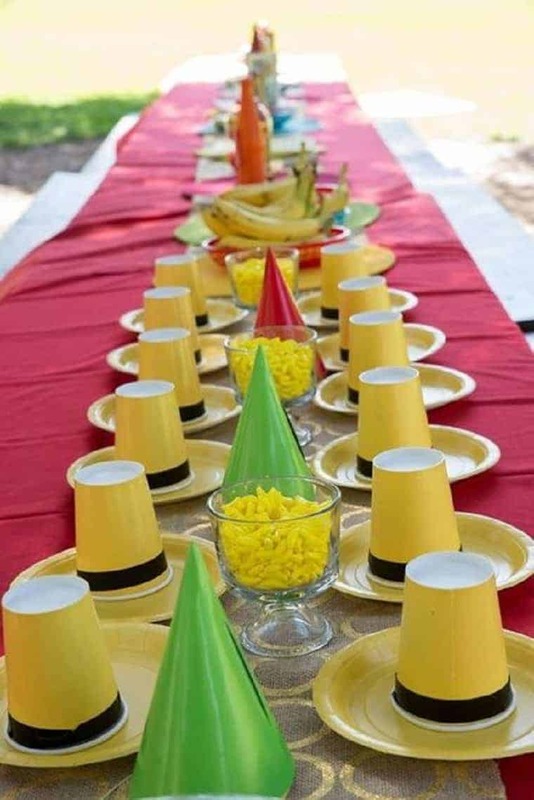 Try these “Yellow Hat” place settings from Catch My Party. 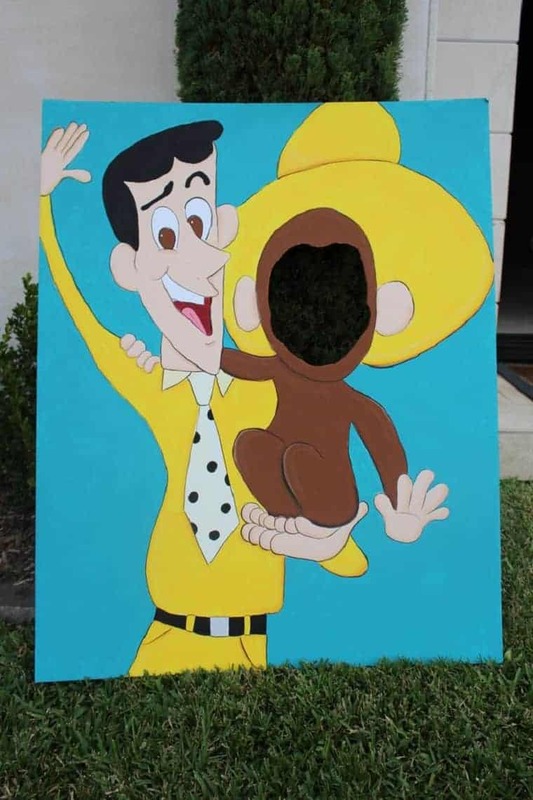 What a fun idea for a party! I love the yellow hat place settings!